Please select an option S M L Xl 2xl 3xl Please select a Size. 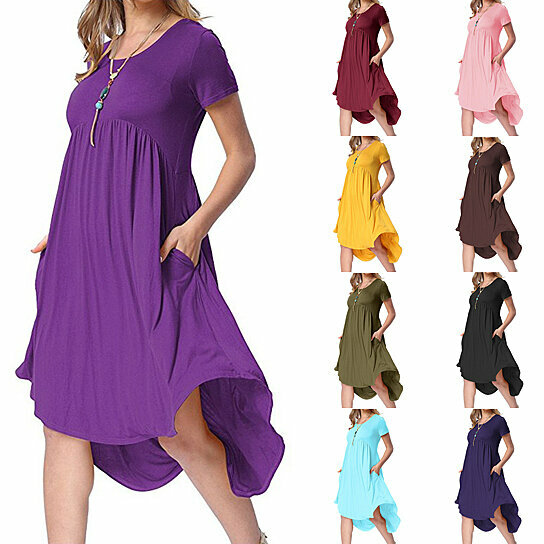 Features:Round Neck,Short Sleeve,Loose,Big Swing,Pleated,Solid Color,Fashion Design. Size:S,M,L,XL,2XL,3XL (details show in photo).